There are not very good options for chatting with Christians on iOS devices, unfortunately. All the same we are going to introduce some applications on here. However we won’t add Christian dating apps here. You can find Christian dating opportunities in our review pages. These will be only services which provides social networking service or 100% chat service. 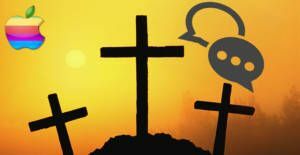 These are some Christian Chat Apps for iPhone devices. These are applications listed below. However most of them rated low by the users. If you would like to give a try these apps, it is good but we recommend you to not to expect much from them. Christian Chat is also a community that you can meet other Christians. This is not a dating application though. You can chat with members of the app and you can get new friends. Chat Me Up is another application which is looking like Mingle Faith Bible Community. It includes a community but the application’s popularity is very low at the moment. It hasn’t been reviewed enough by iPhone and iOS users and there is no overall review rating for the application yet. If you think that none of those websites are suitable for you, you can give a try some other dating applications and try to find out a religious dating opportunity. Especially websites like Plenty of Fish will help you about this. You can find the best dating opportunities of those websites and meet new people. Unfortunately there is not any other good application for iOS devices for Christian Chat at the moment. If you know any of them, please comment this article and let us improve this page for other iPhone users. You can also contact us.